Genesis Environmental is a family-run business with over 30 years experience in the drainage and plumbing sector. Specialising in emergency call-outs for all your plumbing hassles, you can be assured that Genesis Environmental has your needs covered. I have Rats in My Drains! What to Do? Genesis Drainage specialises in providing a comprehensive range of drainage services and have been well-established as a leading local drainage and excavation company for over 40 years. If you are looking for drainage Leominster or drainage Hereford, give us a call today. Working from our base in Leominster, we provide our services to customers from across the region, including Hereford, Worcester and surrounding areas. From drain unblocking to drain repair of damaged pipes, CCTV drain surveys everything in between, you can trust our experienced team to take care of all of your drainage and excavation needs. 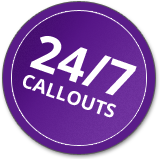 We also specialise in emergency call outs and offer a 24-hour service for your convenience. Working with domestic and commercial clients alike, we can provide a quick, efficient and cost-effective solution to any drainage problem. We can tailor our services to suit your exact requirements, and our work is fully guaranteed for your peace of mind. We offer our services to both local homeowners and global corporate clients drainage services in Leominster & Hereford, but whether you require a domestic or commercial drainage service, you can always enjoy the same high standard of service from the Genesis team. We have established an enviable reputation throughout the local area for the quality of our work, which we maintain by consistently going the extra mile to provide exceptional service to our customers. In addition to this, you can also feel confident that we never sub-contract or franchise, and that all work will be completed by our own in-house team of experts – helping to maintain the same high standards that the Genesis name has become synonymous with. With 40 years of experience under our belt, we have made many reliable clients on the way, with them trusting us continuously with fixing their drains and listening to the advice we provide them. We hope we can continue to appeal to new clients and show them that we are committed to delivering the high-quality service they deserve at a lower price. We strongly believe in providing a service like no other and work hard to bring this service for all who need it. We work at the convenience of our clients, adapting to their wants and needs, and try to carry out the job with minimal disruption to you and your surroundings. If you are looking for drainage Leominster or drainage Hereford, give us a call today. To learn more about our drain unblocking services, or to arrange an emergency call out, contact Genesis Drainage directly on 07966 597952. Class A Contractors for the insurance industry.